You might already be aware that Plain Jane walls are no longer in. 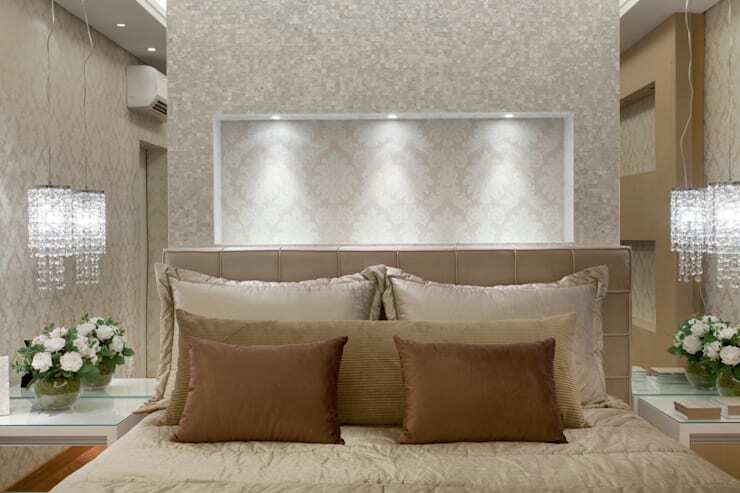 There is now a wide variety of design options to choose from, when it comes to adorning and utilizing modern walls in a smart and visually appealing manner. 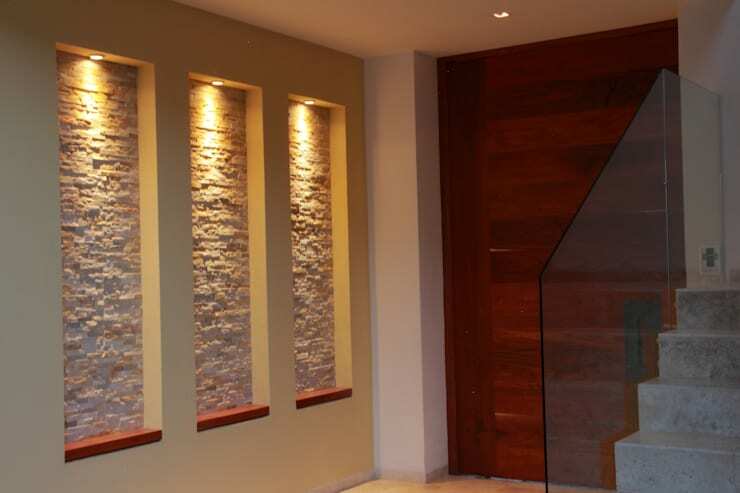 And niches especially take the cake when it comes to making the most out of walls. 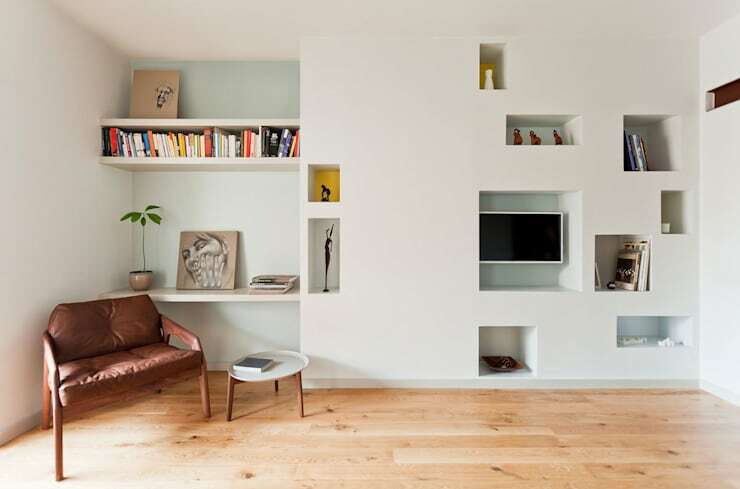 Since most modern apartments and homes are often short on sufficient floor area to accommodate everything, wall niches can really be a blessing for organizing knickknacks, books, memorabilia, pretty crockery, and so on. And today, these niches can be rendered in a myriad of creative ways, in different shapes and with different kinds of lighting, to enhance their beauty. So let homify introduce you to 13 stunning ideas for wall niches, which you can incorporate into your own home, and earn the admiration of your guests! This particular wall is an interesting medley of niches on the right and wall-mounted countertop and shelves on the left. A comfy brown armchair with a quirky round stool lets you sit and study or work at the countertop, while the TV and decorative figurines deck the niches. 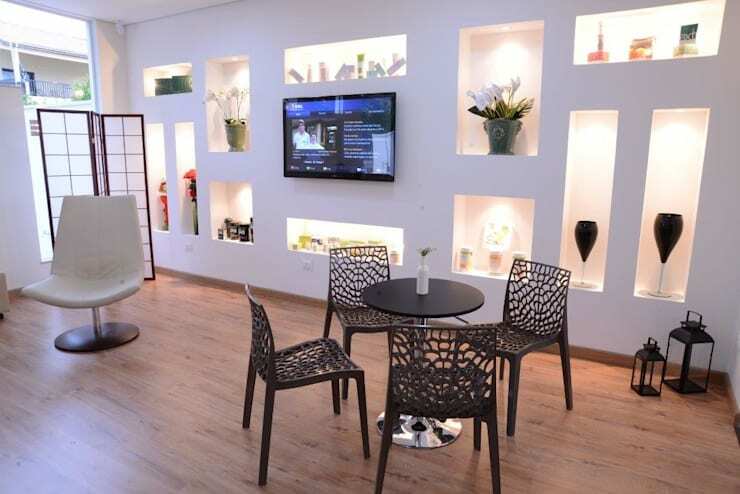 Books neatly line the shelf above the workstation, as a potted plant and artworks add pizzazz to the space. These niches were particularly created to display the textural uniqueness of the wall. The areas within the niches are layered with slim uneven stones, while everywhere else, the wall features plain concrete. The focused lighting highlights this exclusive feature of this wall further. Instead of a traditional cabinet unit for the television, this breathtaking wall features beautifully lighted niches of different sizes and shapes to house vases, decorative glassware, and bric-a-brac. The TV is mounted in the centre, while the niches offer visual depth and interest. This wall is the brainchild of Adriana Mello Arquitetura, architects from Presidente Prudente. 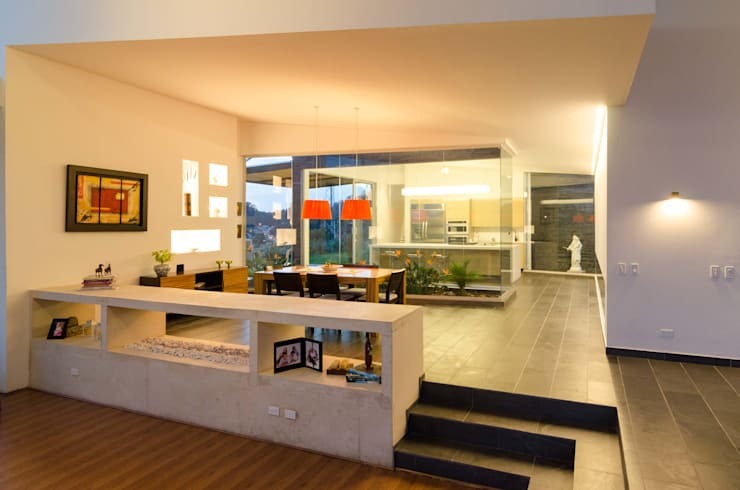 Spacious niches flank the wall section housing the modern fireplace in this lavish living room. The space above the fireplace flaunts ornamental wallpaper, which goes well with the aesthetic delight the niches on either side provide. 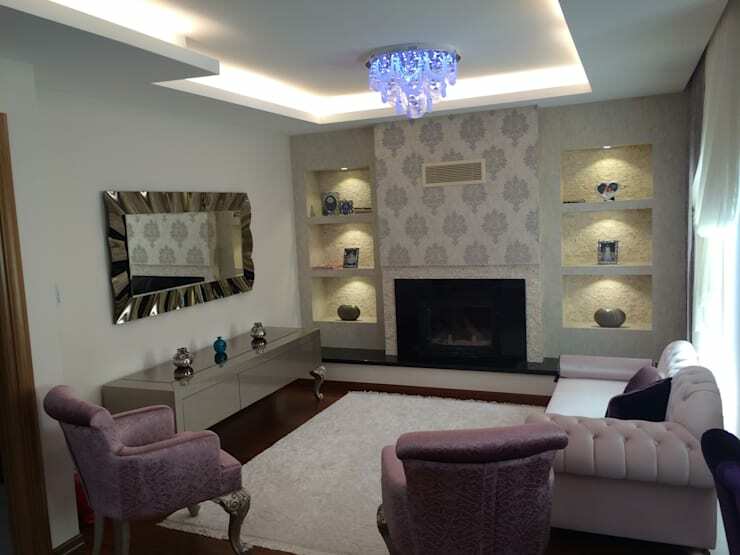 The niches hold purely decorative items and add jazz to the sober and pastel-driven living area. This decor of this living room is clearly inspired by ethnic and tribal accents, and it shows in the bright patterned rug, the peppy cushions, the large planter, the floating shelves with earthy knickknacks, and the glass lanterns in the corner. 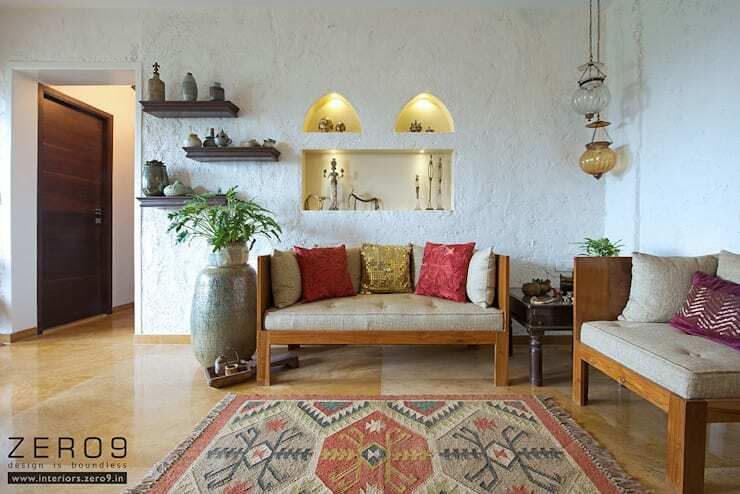 The textured walls also exude a subtly rustic vibe, which has been enhanced by the quirky dome-shaped niches which hold ethnic metal figurines. This corner of the staircase sports a niche which is more like a part of the ledge. Colourful carved flowers add a unique touch to this space and cheers up this non-descript nook along with a vase of multicoloured pebbles. 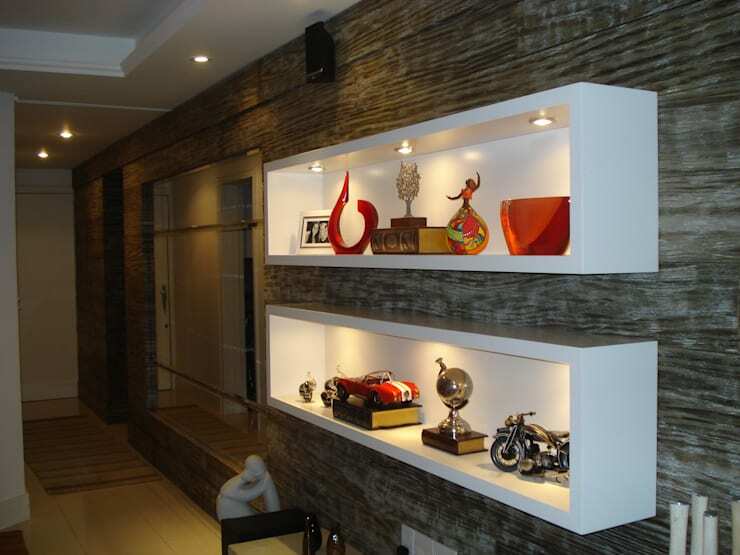 Niches can be utilized with panache beyond walls too, as you can see here. 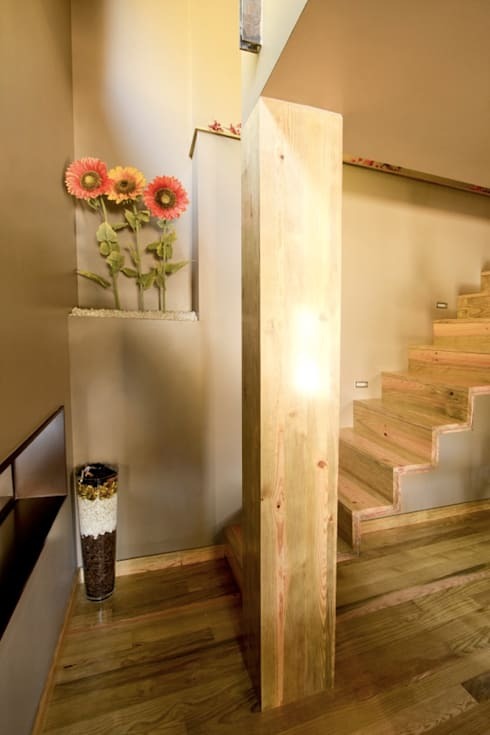 While lighted niches deck the wall near the dining area, the concrete shelf next to the wooden steps also features them for additional display needs. This grey stone finish wall comes with a couple of pristine white niches which seem to jut out from it. They are embedded with softly glowing lights and take the visual appeal of the vibrant artefacts to a whole new level. The niches also provide contrast against the grey wall and break its monotony. 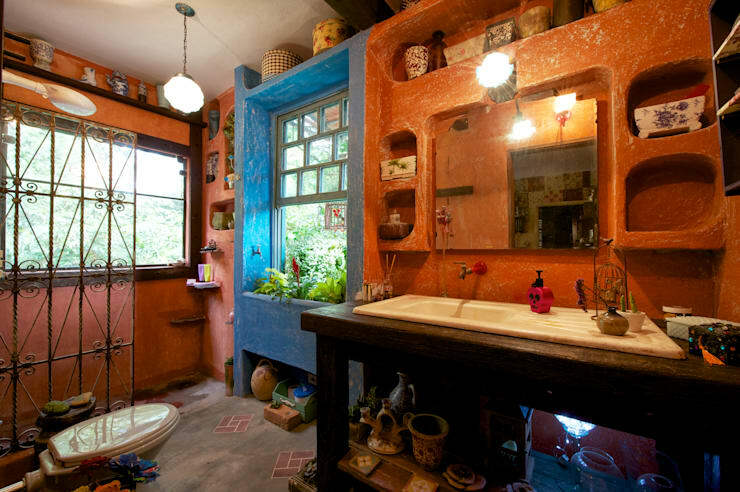 This rustic bathroom comes with quirky niches carved in its earthy brick red wall. These niches are slightly rounded at the corners, efficiently house all toiletries, and add to the pastoral charm of the space. 10. A window or a niche? This unusual niche actually tapers towards a slim window at the end, and glows gracefully under the mellow lighting which enhances the creamy yellow hue of the wall. A single vase with a colourful bunch of flowers ensures that this nook looks stunning. Simple but extremely utilitarian niches line the wooden walls of this contemporary and elegant bedroom. Equipped with gentle but useful lights, these niches hold books, family photos and other odds and ends. This way, everything stays close at hand but don’t clutter the bedroom. Adding a niche behind the bed’s headboard has timeless appeal, and in this case it is purely for visual interest. The ornate wallpaper within the niche delicately contrasts the mosaic pattern outside it, but matches the pattern on the remaining walls. The understated elegance of the niche complements the classic look of the bedroom, with its plush bedding and soft velvetly cushions. 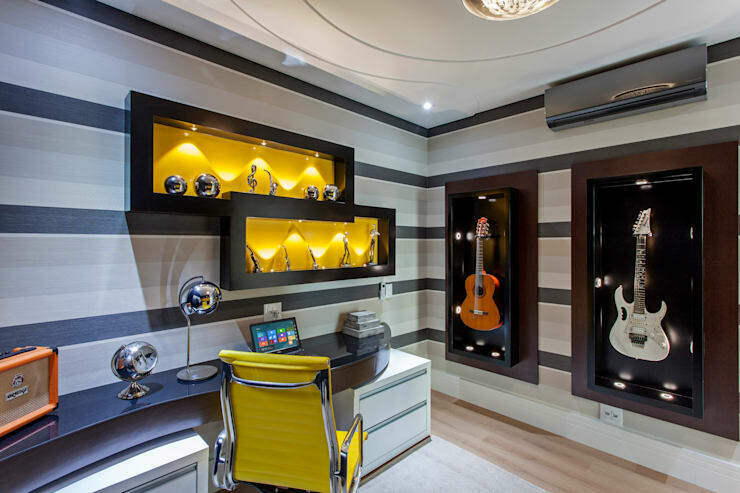 Check out this music den where the large niches have been suitably designed to both contain and showcase different musical instruments. The niches above the workstation stun with their bright yellow hues and are fitted with unique lights to enhance the grandeur of the accolades earned. So now that you know how you can play around with nooks and crannies to suit your taste, preferences and needs, give your walls the niche they deserve! Here’s another ideabook that might pique your interest - Window Dressing That Wows.